As a teenager I could not get enough of Avon products. I fondly remember the days of scanning through the new catalogues and filling up the little form with makeup and other beauty goodies only to have to wait a month or so for them to arrive. Well those days are long gone, hell I don't even know any Avon ladies now and it's not really somewhere I head to for my beauty treats anymore. Although I don't tend to wear Avon makeup anymore, there is one product I have always loved purchasing from that little book - Perfume. 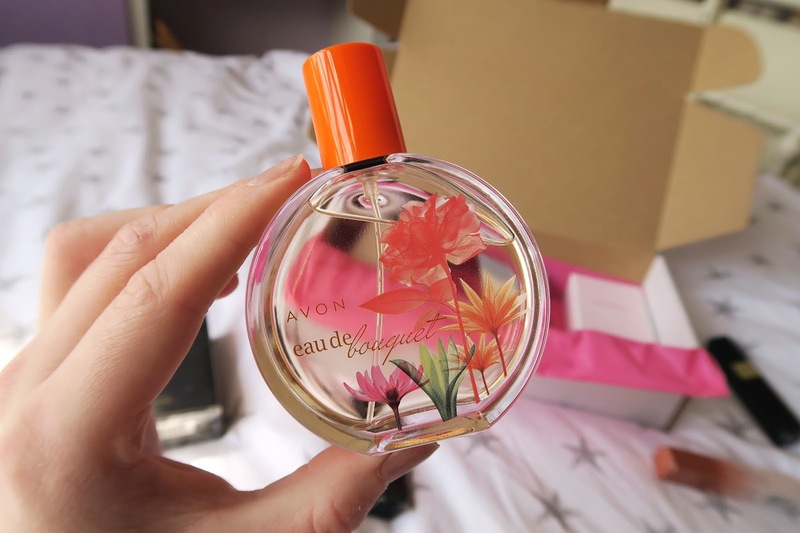 I've been wearing Avon perfume ever since I can remember and even now that I have my higher end favourites, I still head back to Avon for the budget scents I love. Rare Pearls - This has been my go to since I was a babby. It smells incredible and I always get compliments whenever I wear it. I took a bottle of this good stuff to Greece with me on my first ever proper abroad holiday when I was 15 and now whenever a spray it across my skin memories of long days by the beach and cocktails at the bar come flooding back to me. Cheap perfume doesn't get much better than this. Little Black Dress (1 Full Sized & 3 Minis) - I love this little beauty so much I bought it 4 times. Well one full sized version and 3 minis for my handbag. This is another scent that reminds me of good times as I took a bottle to Amsterdam with me the first time I went. I picked up the minis as I thought they would be the perfect size to pop in my hand luggage and we all know how much I like to travel light these days! Soft Musk - I vaguely remember buying this once and I'm sure I liked it? It was only a fiver so I was willing to risk it. It's probably one of the uglier bottles Avon do if I'm totally honest but as long as the spray smells decent I'm happy! Eau De Bouquet - Yes this is the shitest perfume name I have ever heard but have you seen that gorgeous bottle? I'll be completely honest with you, I've never smelt this perfume before in my life but I thought the bottle would look cute on my dressing table. Is that a stupid reason to purchase a perfume? Oh 100% but I like to live life on the edge. My Everything Mini - This was a complete impulse buy if I'm honest. It was £1.50 and I thought if it smells like crap I can just bin it off for that kind of price. As it turns out it smells really quite nice, it has an almost chocolatey scent to it which I really like. It's probably the best £1.50 I've spent in a very long time! 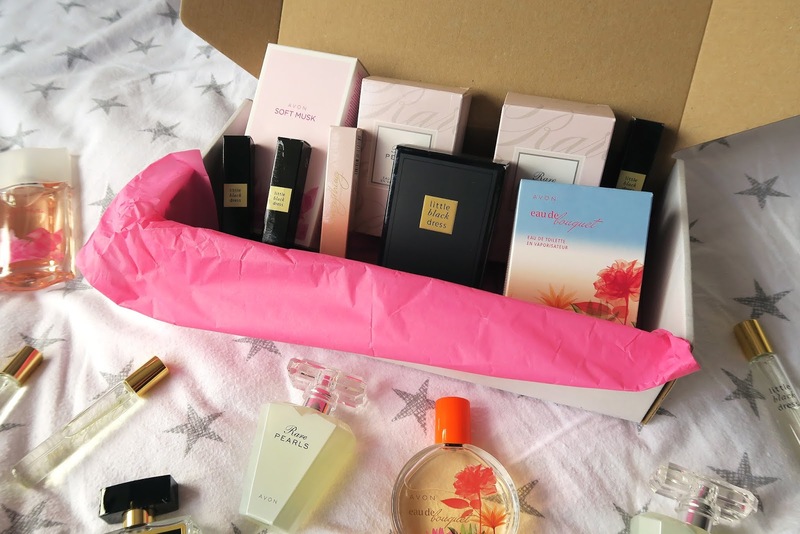 So that was my cheap and cheerful Avon perfume haul which cost me a grand total of £40!!! Do you still wear Avon perfume or is Marc Jacobs more your thing now? Let me know your favourite perfumes! 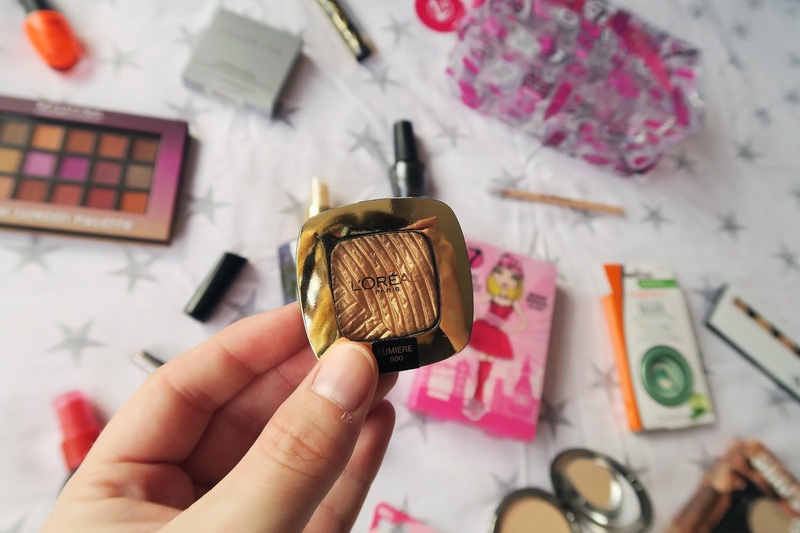 Quite a while back I posted about the holy grail beauty products that bloggers just can't live without. Well now I'm talking hair care and jesus christ have I got a list for you! I asked the blogging experts about the hair care products they love and they delivered. I'm not sure you're ready for this list of goodies because I definitely wasn't! 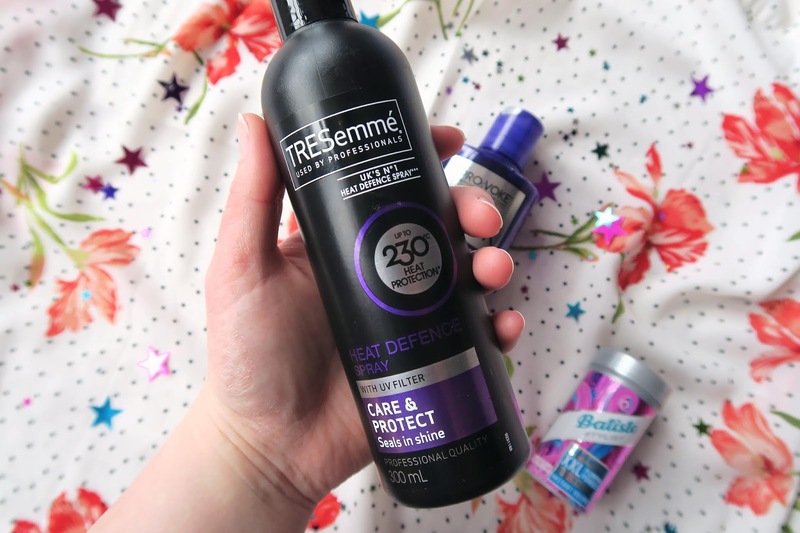 TRESeme Heat Defence Spray - I would be very surprised if I hadn't already spoke about this on the blog before but I don't care because its great. I've been using this spray to protect my hair from daily styling since I was a babby and I haven't found anything that beats it yet! It has slowly been going up in price but I don't think I've ever paid more than a fiver for it! 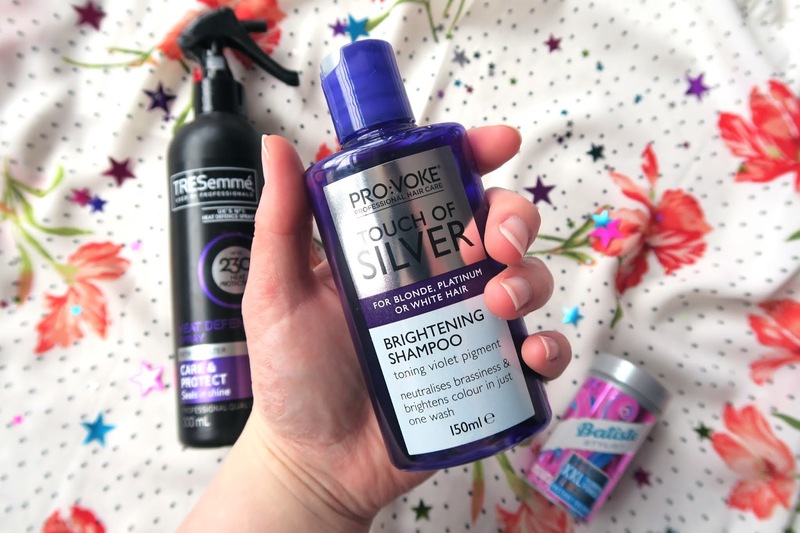 Touch of Silver Brightening Shampoo - "But Grace you're not blonde anymore!" I can hear you shouting at the screen, and whilst that is partially true I do still have a head full of highlights that don't show up that well on camera. I use this every few weeks to give them the treatment they deserve. Although I'm not the blonde I once was, after using this bad boy my highlights are much lighter and brighter. 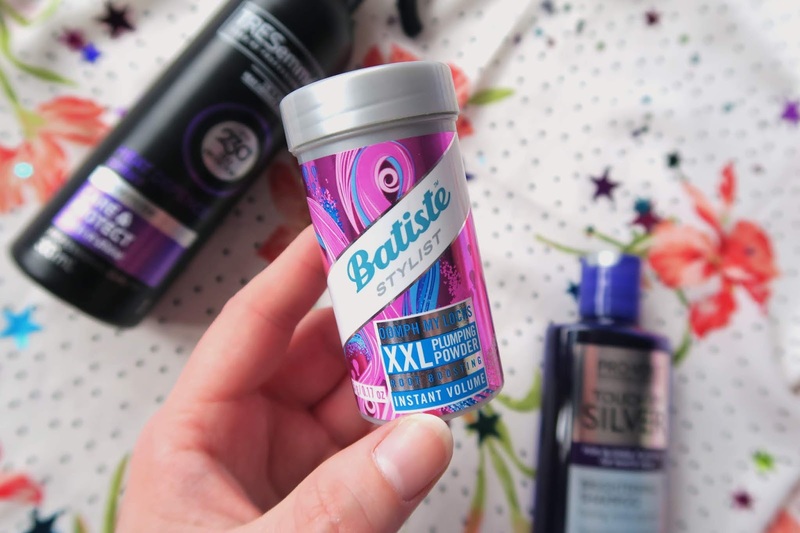 Batiste Plumping Powder - How I managed to get to the ripe old age of 24 before I tried this little beauty out I will never know! It gives my hair an unreal amount of volume and its ideal for travelling too it's not a liquid like most of my other styling products. I don't care how thick you think your hair is, you need this product in your life! Just be aware that brushing your hair can be a bit of a struggle the day after using this, but you can't have it all! Holly from littlepicklesmom.com - I've got a bit of a thing for Tigi Foxy Curls cream at the moment - I can run a little bit through my hair when it's wet, and can get away with letting it air dry. Without it, my hair looks like a frizzy, wavy nest unless it's blow dried. Sarah from boxnip.co.uk - Ingenious Beauty Ultimate Collagen+ Capsules. They make my hair thicker, shinier, stronger and it grows so much quicker too! They are these clever capsules that you take at night & they go to where they are most needed. They're brilliant for your hair - I know because I lost all of my hair Dec 2017 & these have helped it come back, thicker than ever! As an added bonus they are fab for skin & nails too! Honestly, if I had to go to a deserted island this is the one product I'd not want to be without! Abi from whatabigailsays.co.uk - My absolute must have is the Living Proof restore hair mask - it leaves my hair so smooth, reduces frizz and sorts out my split ends! Amy from www.writingintotheether.com - I always use MUK hair products to dye my hair - the colours are just so so vibrant! And Aussie for my curls (Gets rid of the frizz). Emily from www.emilyaagaard.com - As someone with a lot of hair (and I mean A LOT), I’ve found the Tangle Teezer to be an absolute miracle. I have the type of hair that will manage to entangle itself within 3 minutes (my mum calls it velcro hair! ), so imagine how it gets after a single night of sleeping on it. Painful, that’s how. Which would always lead me to putting off brushing it even longer to try and avoid the pain. Which leads to more pain! With the Tangle Teezer, I literally just grab hold of a portion of my hair and have at it. Hey presto. And no pain or damage at all. I’m now 1000x more likely to brush my hair every day as I’m no longer subject to that pain! Annemieke from beautyonreview.com - I love my Fudge Urban Sea Salt spray and could not live without it! It's the only thing that really works for my fine hair. It protects my hair from the heat of my hairdryer, it adds texture and volume and it smells divine! Naomi from tralisty.com - I’ve got naturally curly hair so I have to find products with no sulphates or nasties and need to try loads of different products to see which ones suit my hair best. So far, I’ve found Shea Moisture Manuka Honey conditioner and Curls Unleashed leave-in conditioner to be the best ones I’ve found! Laura from missljbeauty.com - As I have very blonde hair. 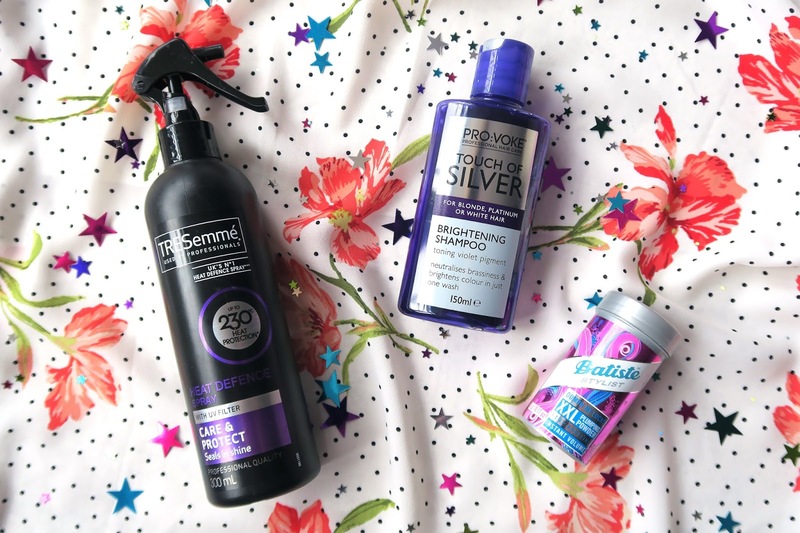 I use bleach London silver shampoo every other wash to keep my hair from any brassy yellowing. It’s by far the best silver shampoo in the market. After I always use a deep conditioner as any sliver or blue shampoo can be very drying. I love Aussie 3 minute miracle. Emma from beemoneysavvy.com - I absolutely love Herbal Essences bio-renew Argan Oil of Morocco Shampoo! I’ve been using it for a month now and and it has completely repaired my dry and damaged hair! I’ve never had a shampoo like it! I got it on offer at Superdrug for £2.50! Suzi from raisingbadgers.com - I love OGX shampoos and conditioners. My hair walks on the wild side and these are the best, non-super-pricey products I’ve used for keeping it in line! I'm using Coconut Milk at the moment, which keeps the frizz under control, but I haven’t tried one I didn’t like! Katie from studentskint.com - For hair care I would say a microfibre towel! It reduces frizz and is a lot better for your hair. I use a cheap Claus Ohlson sports towel that cost about £3. Poppy from poppymayy.co.uk - My favourite hair product is the Phillip Kingsley elasticiser hair treatment. After dying my hair for so many years it had become weak and brittle. After just 3 months of using this my hair had become thicker and stronger with less breakages. It also smells wonderful too and is super easy to use! Naomi from www.ohsixeleven.co.uk - My favourite is the OUAI Leave in Conditioner, as it is a quick and easy alternative to conditioning in the shower, perfect for anyone with a busy lifestyle! It tames flyaways, helps combat frizz and also protects your hair from the heat of dryers and styling tools. I've noticed a huge difference in my hair since I started using this before blowdrying, my hair looks so much more shiny and so healthy. Jenni from www.misstillyandme.co.uk - At the moment my hair is struggling with me being pre menopausal and I have discovered L'Oréal Elvive clay shampoo. It is perfect for my greasy roots and dry, bleached ends. It's the only shampoo that was affordable that I could find. Jenny from mamafoodie.co.uk - Mark hill shampoo, conditioner and argan oil. My hair never looked so good. Sam from gridcoregraphics.co.uk - The Lee Stafford Hair Growth Shampoo and Conditioner is great to grow out your hair (it actually works and you can expect to see results in a month!) It also smells nice and can be found on offer in most places so pretty affordable too! Sarah from sarahjennajayne.com - I mess with my hair pretty much constantly! Forever dying and bleaching! Because of this I need protein treatments! I love the aphogee 2 minute protein treatment and the bleach London reincarnation mask. Both are miracle workers! I think my hair would of all snapped off by now if it wasn't for these products! Helen from www.naturalbeautywithbaby.com - Tabitha James Kraan haircare has transformed the way I care for my hair. No more stripping natural oils from my hair by washing every day! This system respects my hair and scalp and my hair gets better over time. Claire from www.dailydealsblog.co.uk - As a money saving blogger I always research everything to ensure I'm getting the best buy and for my hair masks I swear by Aussie Deep Treatment 3 Minute Miracle Reconstructor - It has the exact same ingredients and results of the similar masks that are being charged £30+ except you can get it for less than £5. I use it once a month and my hair feels amazing. Frankie from thoroughlymoderngrandma.com - I’m trying to reduce our plastic waste so have switched to a solid shampoo bar. My favourite is Wild & Sage’s Rosemary and Lavender. It’s 100% natural with Rosemary infused Extra Virgin Oil so leaves your hair really soft. It lasts for ages and there’s no plastic as it’s wrapped in recycled paper. Amy from shessowilsy.com - Argon oil is my favourite hair product right now. I got compliments about how shiny, smooth and healthy my hair was after using it just the once. And guys... my hair is naturally course, frizzy and wavy! You can buy pure argon oil for around £5 a bottle and it lasts me for several months. I massage it in to my scalp and run it through to the ends of my hair and leave it on for as long as I can. I often put it on before I go to bed and wash it off in the morning with ordinary shampoo and conditioner. It's such an easy addition to add some healthy goodness in to your hair. Even if you only have it on your hair for an hour when you get home from work to the time you wash it, every little bit helps! Weirdly, I'm also able to wash my hair even less after adding argon oil in to my hair routine. It's a bargain really and you know it won't have any nasty chemicals in it - I've been using it ever since! Lucy from www.lucyearnshaw.co.uk - I love the Ouai Dry Shampoo Foam - I suffer with seborrheic dermatitis (also known as adult cradle cap) so this is much better than an aerosol dry shampoo which irritates my scalp. It’s easy to use and smells amazing! Emma from themoneywhisperer.co.uk - As a naturally curly girl, my hair is quite dry. Water based lube (yes you heard me right!) is great for my hair. Ruth from ruthmakesmoney.com - I've got very thick hair that's prone to being dry and quite wild, and it needs a ton of conditioning. The best solution that I've found is using a little coconut oil. The supermarkets' own brands are great. I use it sparingly on the ends, and a little goes a very long way. It's also great to have in the bathroom for removing makeup or tackling dry skin, and it smells amazing! Jane from www.shoestringcottage.com - This may be a tad unusual, but I love Lush's solid shampoo bars, particularly the Godiva bar. It leaves my hair lovely and soft, smells lovely and - bonus - no plastic waste! Dorota from www.beautydramaqueen.com - For me it’s all about Philip Kinsley Elasticizer! I can’t imagine my routine without it! It’s just pure magic. Especially now that my hair has been highlighted so much, it’s a miracle worker. I currently add toner to it, stick it in my hair for 30-60 mins then wash it off. Hair’s super soft and manageable afterwards. Coconut scent is the best too! If you made it to the end well done, I know that was a hell of a lot to get through! I hope you managed to take away some hair care recommendations from this post, there were certainly enough of them! 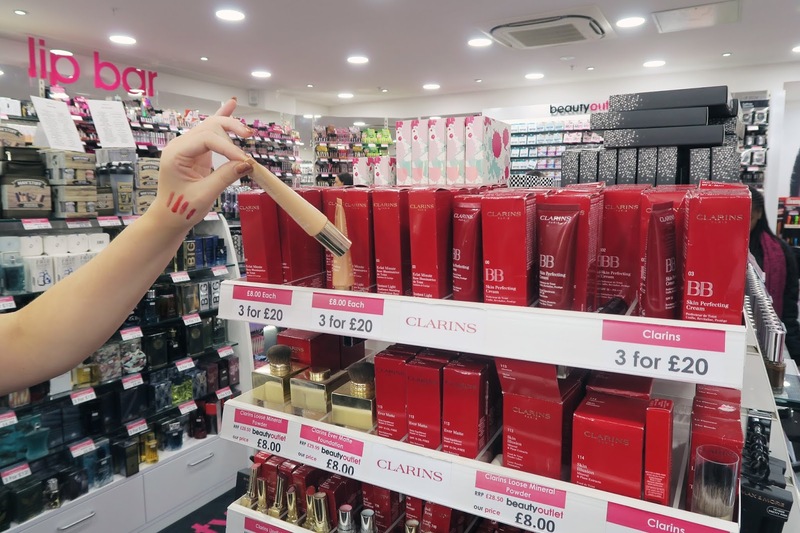 A few weeks back I popped down to Resorts World to check out their brand spanking new Beauty Outlet. 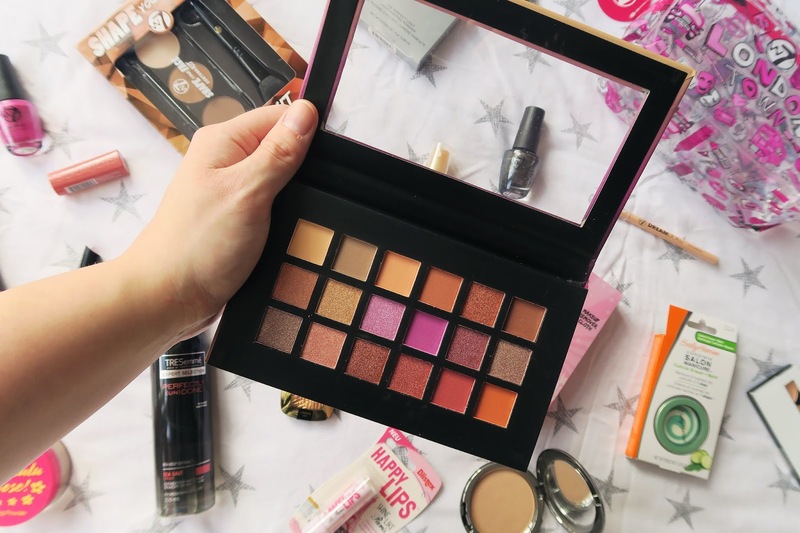 As a lover of all things beauty I was excited to smother my hands in swatches and bring home some new bargain products to try out. So what did I pick? 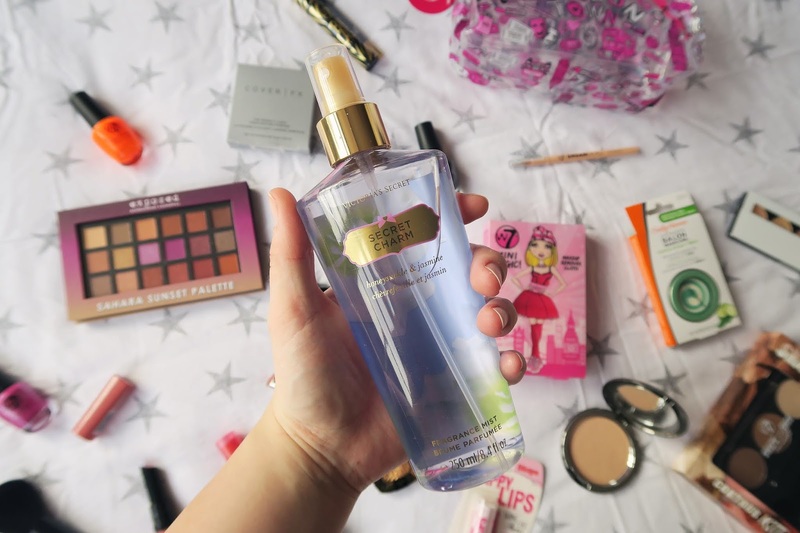 Victoria's Secret Fragrance Mist in 'Secret Charm' - I've had scents from Victoria's Secret before and I've always loved them. They're not as long lasting as perfumes but they're still pretty good. That being said I do think they are pricey so when I saw this little bottle for just £8 I knew it was destined to live on my dressing table. Exposed Cosmetics Sahara Sunset Palette - Heard of Exposed Cosmetics before? No? Neither had I. This palette was a complete impulse buy but I just fell in love with the shades! I've used it a few times now and although the shades aren't as vivid as the likes of Mac or Urban Decay, they aren't bad for a palette under £10. W7 Makeup Remover Cloth - I've had makeup remover cloths in the past and I will more than likely buy them again in the future. They are so much softer than wipes or flannels and they actually do take your makeup off without any product. I paid a tenner for my first cloth but this one was only £1.99 and works just the same. Blistex Happy Lips - I have about 400 Lip Balms dotted around the house and in various handbags but I thought one more wouldn't hurt. I actually picked this up to keep in my desk at work (I have an actual adult job now you know) and at less than £2 it didn't break the bank. Sally Hansen Cuticle Eraser & Balm - I haven't tried this out yet but I am very excited to. I have the worst cuticles known to man but I'm too lazy to do anything about them. If a simple cream can handle that mess I will be very very happy. Bourjois Rouge Velvet Lipstick in shade 02 'Flaming Rose' - Now this beauty I have tried and loved. It's a little darker than my usual lip colours but I do think it suits me well and its super long lasting too. I did find that it dries almost like a chalky liquid lipstick so I just apply a thin layer of lip balm before wearing it. Bag full of W7 goodies - This is the only product I didn't pick out myself and if it wasn't gifted to me I'm don't think I would have chosen it in all honesty. Its a bag filled with W7 products and at only £10 it's not a bad price. 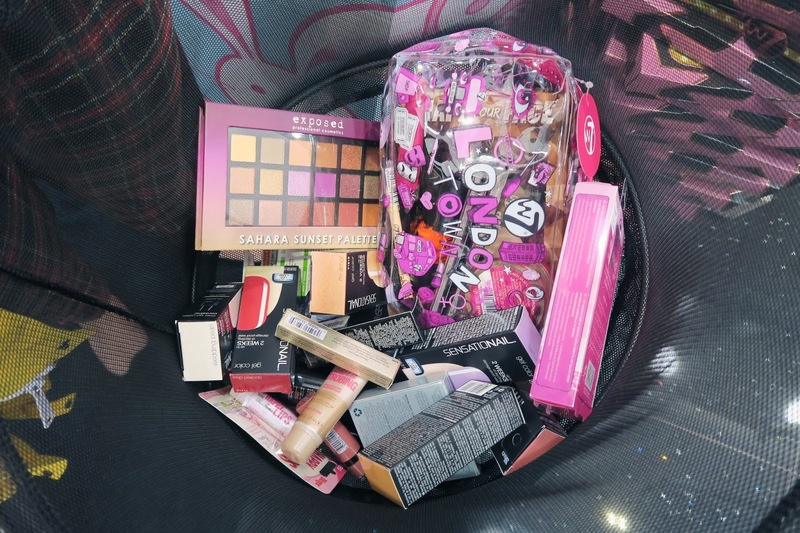 It holds practically every product you could want if you were just getting into makeup but as someone with a pretty solid collection it didn't offer me anything special. Cover FX Highlighting Powder in 'Moonlight' - Like a lot of the brands in the Beauty Outlet, I'd not tried anything from Cover FX before. It's one of the higher end brands in store and had a good selection of quality products. I fell in love with this highlighter as soon as I set eyes on it and I wasn't disappointed. It's a little darker than my usual highlight but it gives me a great little glow. Rimmel Lipstick in shade 650 'Pretty Penny' - I'm a sucker for a lippy so obviously I went home with two. Both shades I chose were similar but this one is a lot more sheer and shiny than the Bourjois one which is probably why I haven't reached for it too much yet. L'oreal Paris Colour Riche Eyeshadow in shade 500 'Lumiere' - Now this little beauty I haven't tried out yet but I cannot wait to. It's a gorgeous bold gold shade that is going to be perfect for the festive season. I've been trying to build my eyeshadow singles collection this year and I'm very glad I picked this one up. If I remember right it was only about £3 aswell! TRESemme Perfectly Undone Sea Salt Spray - I'm slowly but surely trying out every sea salt spray I can get my hands on. 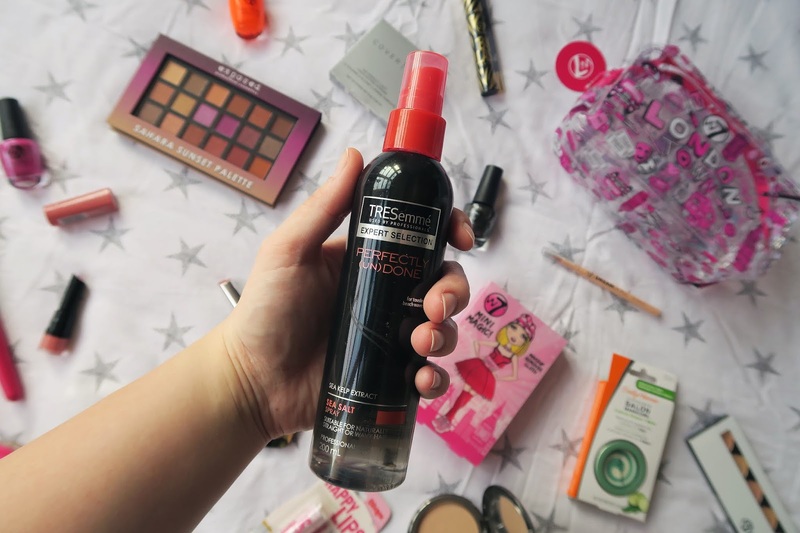 I haven't tested this one yet but I usually get on well with TRESemme products so I do have high hopes. So those are the goodies I took home with me from the Beauty Outlet. 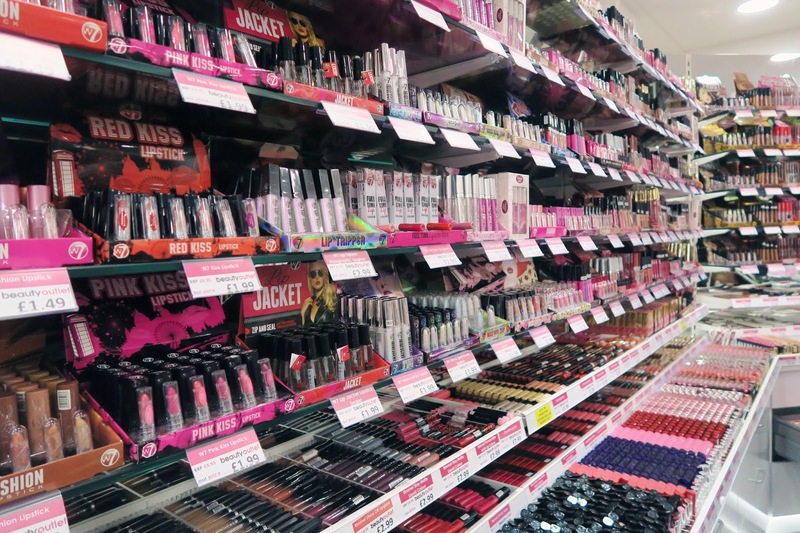 I honestly could have picked up so much more as there are loads of products from various brands at decent discounted prices. * I was gifted a number of items which I chose myself in exchange for an honest blog post. I would never promote anything I didn't believe in. Everyone has those products you keep going back to time and time again. Even though it's nice to try out new things every now and then, I'm a creature of habit and if a product works for me I'm going to buy it again. 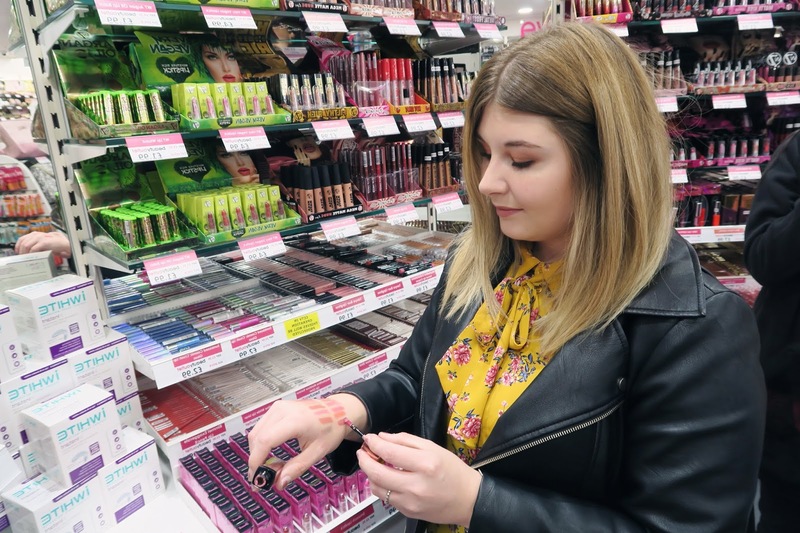 Now as a blogger I do get to try a lot of new goodies out which means I'm a pretty good person to ask if you're on the hunt for something different. That being said I can't possibly try everything out, I have a full time adult job now after all. So with that in mind I've reached out to some other gorgeous bloggers to shout about their absolute must have products! 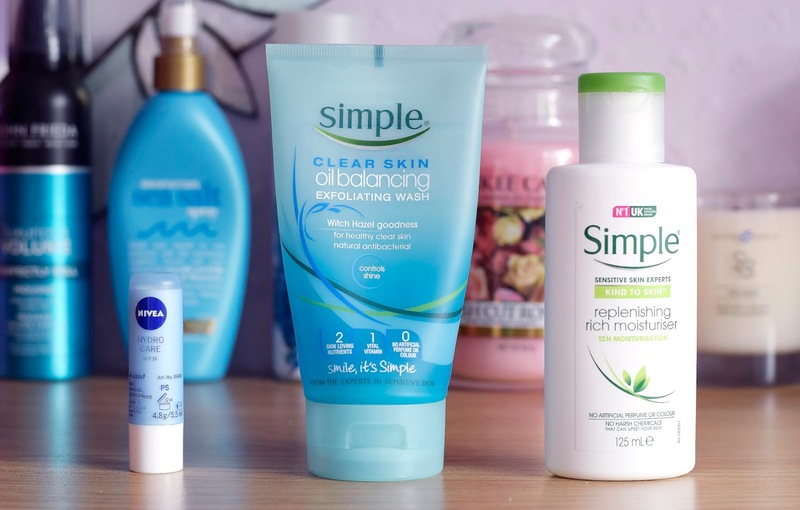 But first here are three of my holy grail products which all happen to be skincare! Simple Oil Balancing Exfoliating Wash - As you can probably see from the photos, there's not a whole lot of this bad boy left. I'm almost out but you can bet your bottom dollar that I will be running our to Superdrug the second its gone. 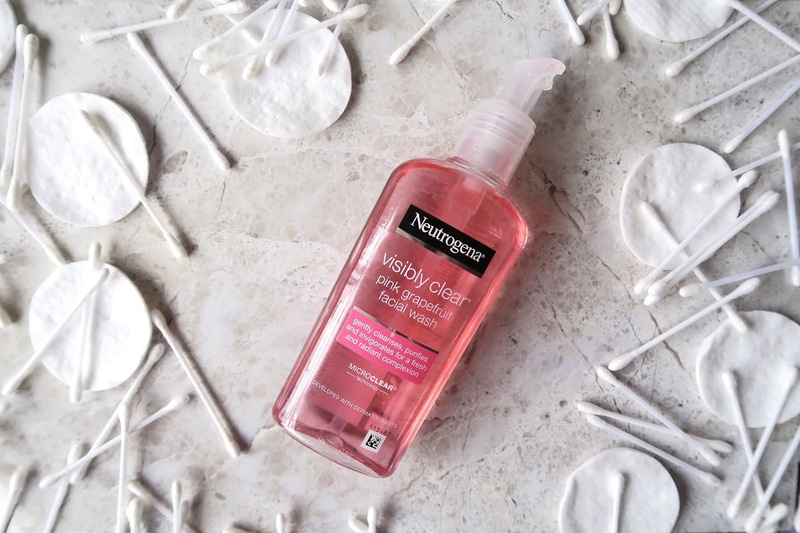 Although it is technically an exfoliating face wash it is incredibly gentle and doesn't scrub at my skin at all which is an issue I've had with other similar products in the past. It also contains witch hazel, an ingredient I always get on well with. Nivea Hydro Care Lip Balm - A small but very might product this one. I've tried and tested many libalms in the past, a girl has to have those smooth moisturized lips, am I right? But this little chapstick beats anything I've used in the past. I'd even put this ahead of the universally love Carmex! 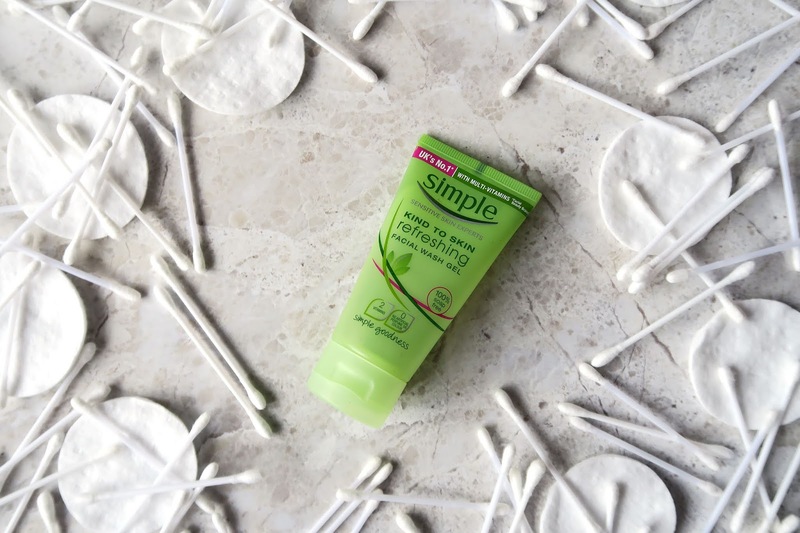 It also contains SPF to protect your lush lips from the harsh sun! Simple Replenishing Rich Moisturiser - Another Simple product, what can I say, I just works! My sister and I have been using this moisturiser for years now and we still haven't found anything better. This gentle moisturiser keeps my skin feeling fresh and banishes any dry patches I might develop without feeling oily or giving me spots! I have used the light moisturiser in the past and whilst its still good, I've always found that the rich version goes the extra mile. 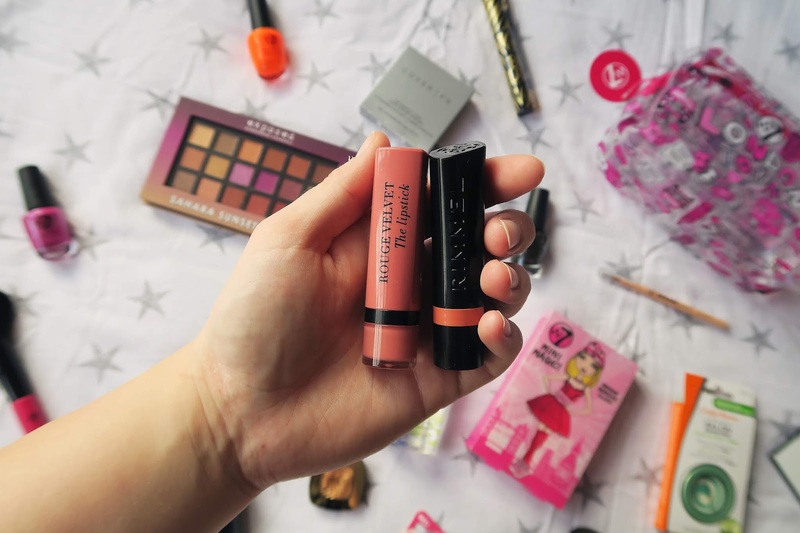 Now onto the other blogger favourites! Bethan from beffshuff.com - My holy grail eyebrow product is the Natural Collection Brow Gel for £2.49! It's the cheapest product I own and I couldn't be without it. It's great for sensitive skin and is cruelty free, too. I've tried and tested a gazillion brow products and I personally don't think anything else comes close. I use it to give my brows some colour on a no-makeup makeup day, or use it alongside my ABH Dipbrow for a bolder look. Chloe from www.chloexlizabeth.com - I absolutely love using the Charlotte Tilbury Pillow Talk Lip Liner and Lipstick. As somebody with super thin natural lips, I've always been insecure and I've wanted them to look bigger. The CT lip products are the only products that allow me to overline my lips and keep them looking natural in the process. The colour is wonderful for my natural skin tone and seems to change depending on whos wearing it; and it's so creamy that it just glides on. I could wear it all day everyday, and even though it's fairly expensive as a high-end product, I'd repurchase them over and over again. The added bonus is that they're both cruelty free! Amanda from amanda-jayne.me - When it comes to lipsticks, I'm a die-hard fan of the liquid-to-matte kind. 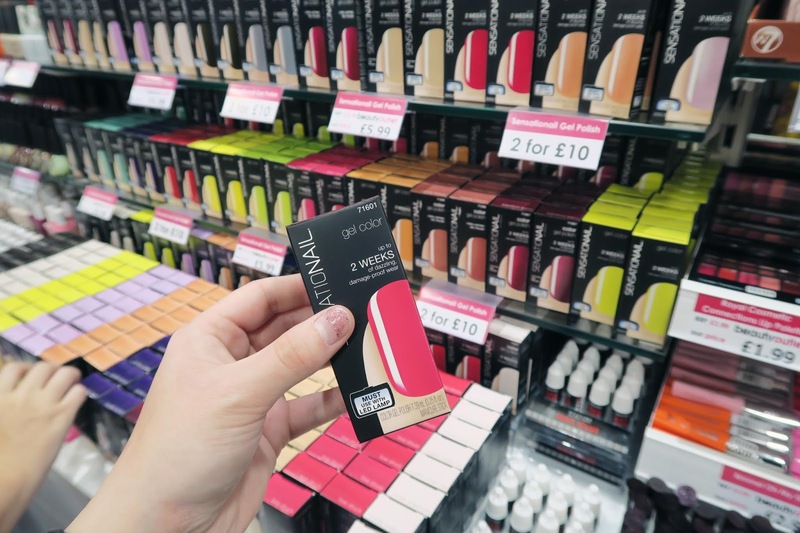 I need pigmentation, no fuss, and long-lasting colour which is why traditional lipsticks are often a bit of a miss for me. However, Fenty Beauty's Mattemoiselle liners are a real game-changer and have managed to win round even me - the opposite of a fan of any bullet lipstick. Creamy and highly pigmented, the Mattemoiselle line really is the definition of 'plush matte'. There's no high shine or satin finish, but nor does the formula pick up all the cracks in your lips, either, and it doesn't flake or shed through the day so you know it's a good one for a long haul. 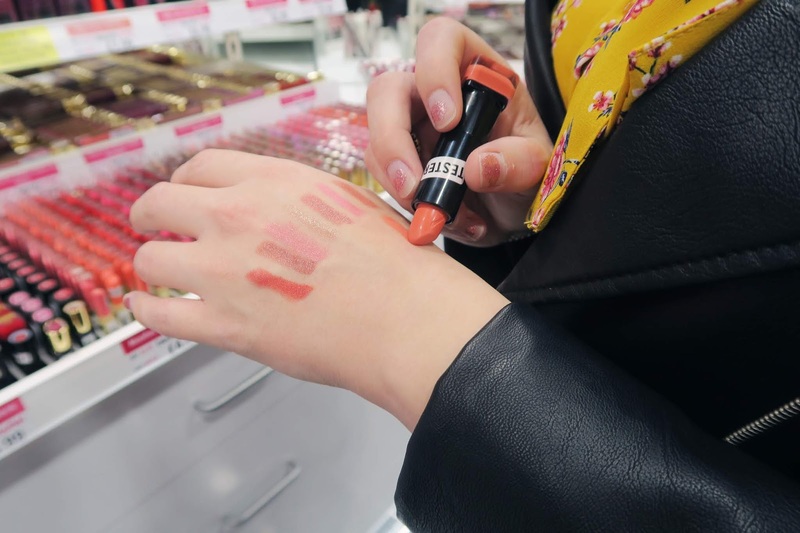 Touch ups and initial application are made easy by the slim and small bullet, which allows you to deliver bold colour straight to your pout without the added nuisance of a lip liner or brush. Up until recently I only owned the striking, cornflower blue shade 'Ya Dig?! ', but I've just picked up another colour (Midnight Wasabi!) and whilst I wanted Saw-C, it wasn't in stock, (boo! ), but despite this I can't wait to get stuck in! The beautiful packaging means nothing if it hasn't got an incredible formula, but luckily RiRi hit the nail on the head with this beautiful selection of matte colours that really pack a punch. These have quickly become a staple in my handbag and I'm excited to play with my new shades! Dorota from beautydramaqueen.com - Makeup wise, Charlotte Tilbury Hollywood Flawless Filter is my universal morning tool. I use it as a primer to add glow and blur imperfections, then on top of foundation: top of cheekbones, temple, over the brow arch, Cupid’s Bow and bridge of the nose. It gives the most beautiful dewy finish. Can’t live without it! Emily from emily-ware.com - My current skincare hero is the Rodial Dragon’s Blood Hyaluronic Tonic spray. It’s rather pricey and I usually don’t spend that much on one product, especially when it comes to skincare, but this product came as a tester in an Asos beauty box and I will definitely be repurchasing. The hyaluronic acid in the product has made my skin feel plumper and it looks so much brighter, so much so that I’ve been leaving the house without foundation for the first time in years! It works wonders on my awkwardly sensitive combination skin and I would recommend it to anyone! Katy from therawrdrobe.com - My absolute holy grail skincare product is the Liz Earle Cleanse & Polish. It’s saved my skin on so many occasions and I can’t fault it at all. Fresh smell? Check. Does the job? Check. Looks pretty in photos? Check. It’s such an essential in my routine and I can definitely tell when I haven’t been using it because my skin starts to flare up! Also, it’s great for anyone with sensitive skin and fab for the old Boots advantage card points haha! 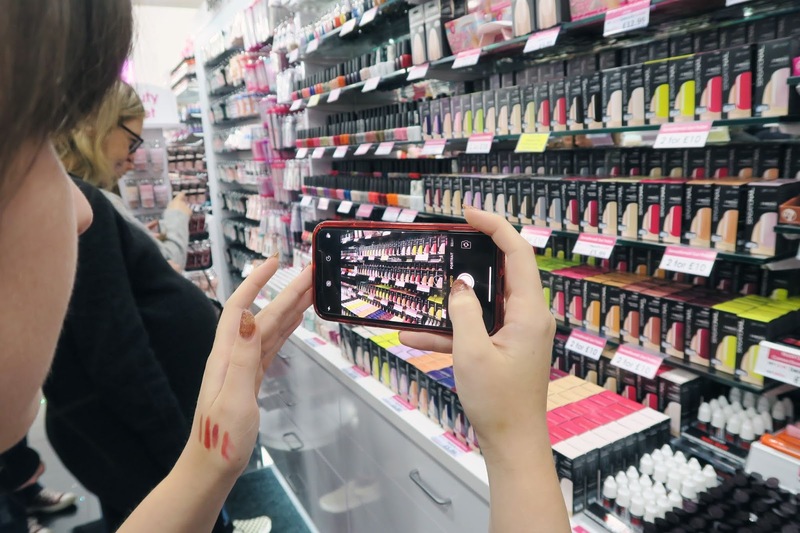 Dorota from beautydramaqueen.com - Choosing just 1 or 2 holy grail products is so hard. Over the years I’ve fallen in love with so many! Merumaya Treatment Toner was a revelation when I first got it. I’m now on my 4th bottle with 2 back-ups! It’s my go to morning shot of glow without the acids! 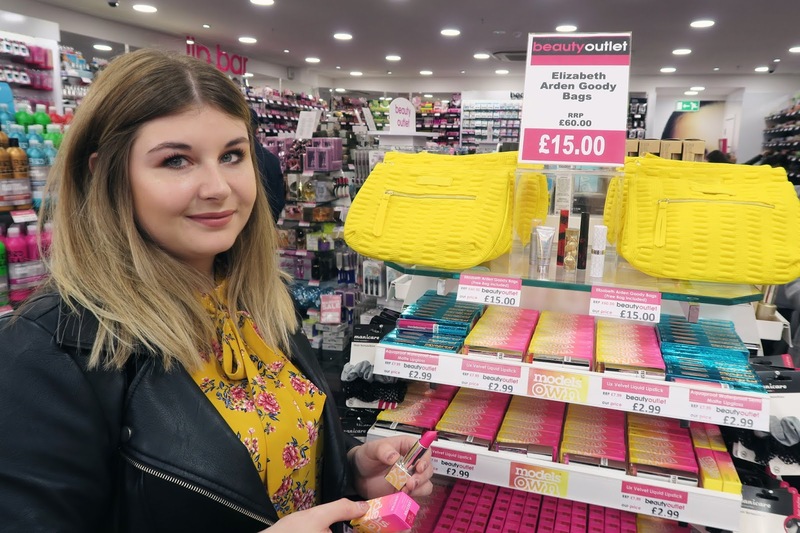 I always love asking others about their favourite beauty products, you can find some absolute gems by chatting to beauty bloggers about what they like. I've actually not heard of many of these products myself so I hope you guys also find this post useful! I know I've now got a list as long as my arm of new beauty goodies to try out. So do you have a holy grail product? Something you can't live without or repurchase religiously? Let me know in the comments!